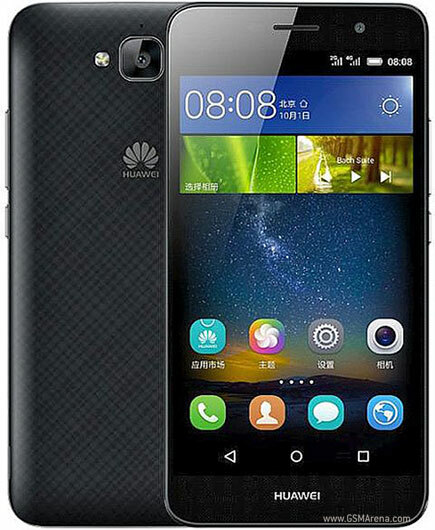 Huawei, the Chinese company launched a 5 inched smartphone named Enjoy 5 last October. The new smartphone named Enjoy 5S has been introduced as an update to this smartphone. The new handset features a fingerprint sensor with 5 inched display. Another highlight of the handset is that, it supports dual SIM facility with hybrid feature, which means the second SIM slot functions both as microSD card slot as well as SIM holder. Now let us go through the specifications of this handset in detail. The new Enjoy 5S comes with a measurement of 143.5*71*7.6mm. This handset is as light as 135 grams. Again this 7.6mm slimmed handset comes with metallic body featuring uni-body design. The display is as wide as 5 inches edge to edge. This 5 inched display features 1280*720 pixels resolution with HD IPS screen. The processor that runs the handset comes from Mediatek. The processor of version MT6753T loaded with 1.5 Octa-Core chipset makes the handset function. The chipset comes with a capability of 64-bit. The processor is also loaded with Mali-T720 GPU, which provides graphics support for the handset. The handset functions flawless with the help of 2GB RAM. The internal storage comes to be 16GB which can be enhanced upto 128GB with the help of external microSD memory card. The Android version 5.1 Lollipop helps the users to interact with the handset. It is backed by Emotion UI 3.1 Lite. The main snapper is loaded with a 13MP powered lens supported by dual-tone LED flash. It has got an f/2.0 aperture and BSI sensor. The front snapper is loaded with 5MP camera featuring 28mm lens. The handset supports dual SIM facility where one SIM slot supports 4G LTE connectivity while the other supports 3G HSPA+. I have already mentioned about the hybrid feature of dual SIM slot. WiFi is enabled with a bandwidth 802.11 b/g/n and Bluetooth connectivity is enabled with the version of 4.0. This handset also has got GPS connectivity. Another important feature is the Fingerprint Sensor which is available to the back of the handset. The battery with a capacity of 2200mAh helps the handset to remain alive for the day long. Huawei introduces new Enjoy 5S in Silver and Golden colour variants. The new handset is priced at US$187 which comes to be 1199 Yuan. This handset can be ordered from vmall. It is all set for sale in China by 10th of December. But the company hasn’t declared anything related to its global release. Maybe the company is focusing only the Chinese market.